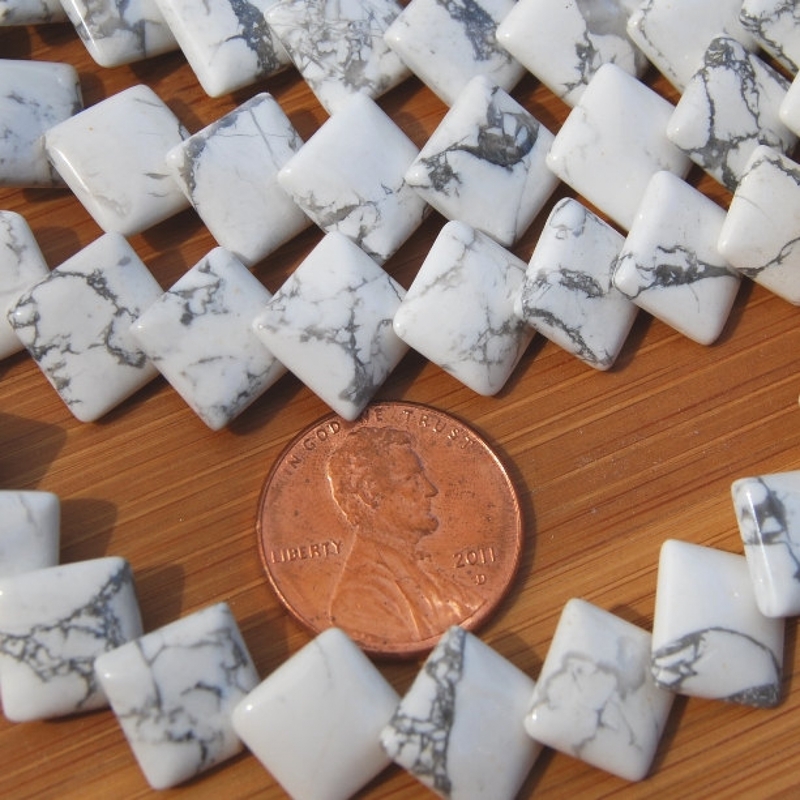 Howlite is so often dyed, it's almost rare to find them in their natural state, but I love the crisp, white, gray-veined color. 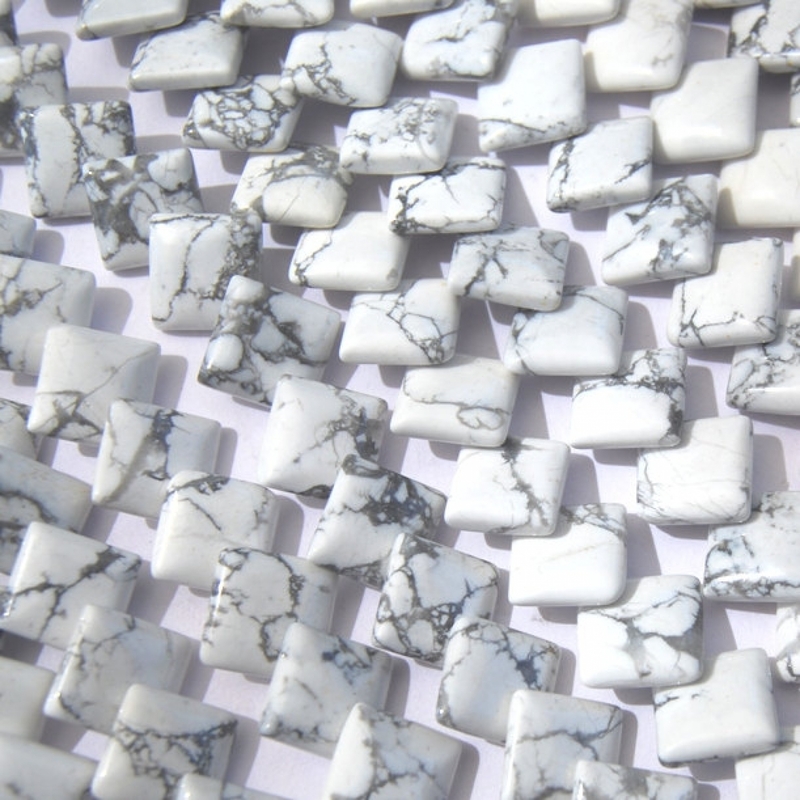 They are highly polished and diagonally drilled, overlapping beads measuring 10x10x4mm. You will receive fifteen (15) loose beads (unstrung) chosen randomly from the strands shown--approximately 8 inches if they were strung. Computer screens do vary in the way they display color. 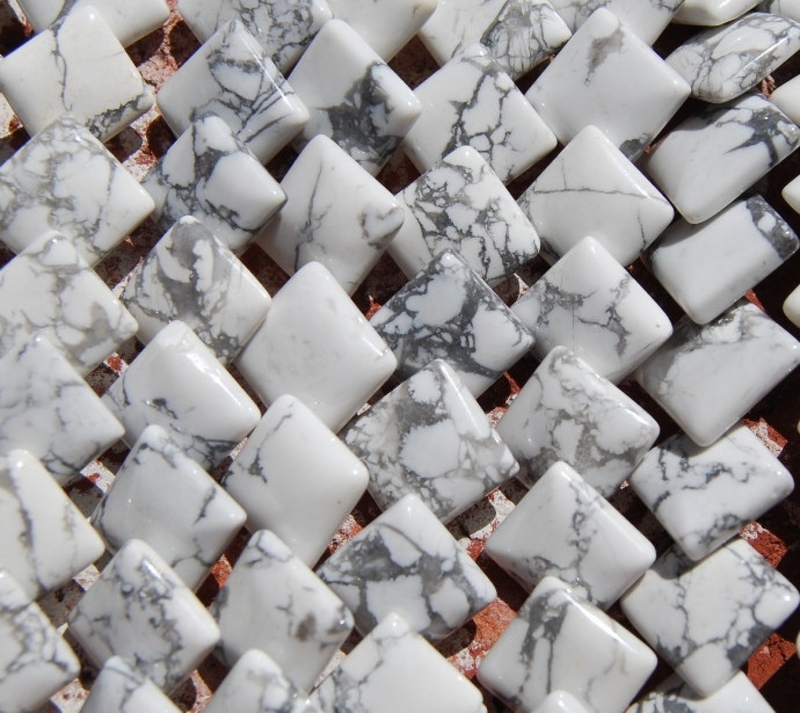 Please allow for the variations that occur in these natural stones; that is part of their charm.